The 36-hole resort near Girona in Catalonia on Spain’s northeast coast, which is a member of The European Tour Properties network, will host the six-round Final Stage for the fifth successive season from November 24-29 this year. The Tour and Stadium courses were both co-designed by European Tour champions Neil Coles and Angel Gallardo. Last year, the demanding 6,588 yards, par 72 layout was named in Golf World magazine’s list of the ‘Top 100 Courses in the World’, and was also included in Golf Monthly magazine’s ranking of the ‘Top 50 Courses in Continental Europe’. The club’s new practice facilities, which include a 2,000 square metre putting green and chipping area with five bunkers containing different sand types, drew widespread praise from the players when they were unveiled last year. South African Branden Grace, who has won three times on The 2012 European Tour International Schedule since taking the 11th card at the Final Stage last year, called them “some of the best practice facilities you’ll find anywhere in the world”. 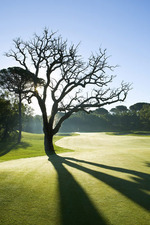 Mike Stewart, Qualifying School Director, said: “It is excellent news that the Qualifying School will be played at PGA Catalunya Resort until at least 2014. 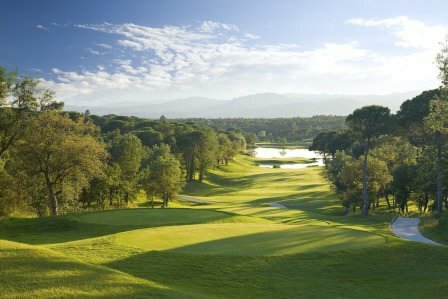 It is rare that you find a venue with two superb courses both in magnificent condition, but PGA Catalunya Resort fits the bill perfectly. Julio Delgado, Chief Executive of PGA Catalunya Resort, said: “While the reputation of our two golf courses is well established, we have invested heavily in our practice and coaching facilities to make PGA Catalunya Resort a centre of excellence for tournament professionals and elite amateur teams from across Europe. 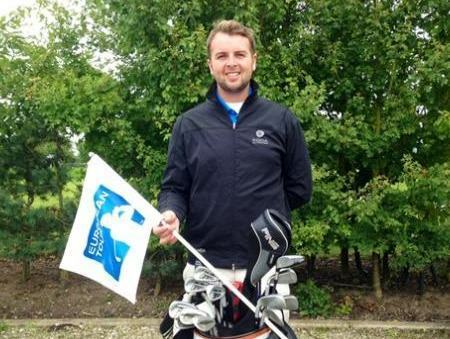 Kevin Phelan made a fine start in his bid to win back his tour card when he opened with a three under par 69 on the tough Stadium Course in the Final Stage of the European Tour Qualifying School at PGA Catalunya Resort. Ruaidhri McGee. 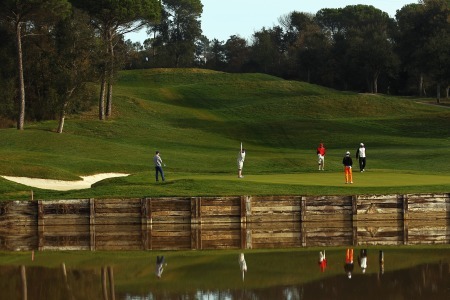 Picture courtesy EuropeanTour.comIreland’s quartet of hopefuls got off to solid if unspectacular starts on the opening day of the European Tour Qualifying School Final Stage at PGA Catalunya Resort near Girona.